There is #BlackFriday and #CyberMonday…and then there is #GivingTuesday, an international day of giving! 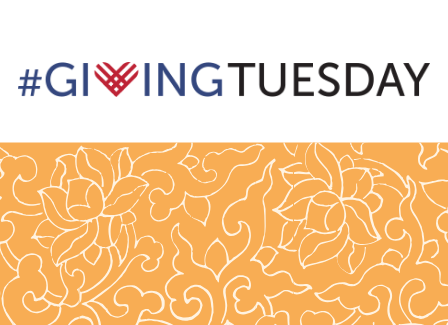 SBCC will once again be participating in #GivingTuesday on Tuesday, November 27th. This #GivingTuesday, our fundraising goal is $3,000 which will be used to provide new and innovative programming for all those affected by spina bifida in the Greater Cincinnati area, including our NOURISH program. Facebook and PayPal are partnering this year to match the first $7 million in donations made to organizations such as SBCC. The match will begin at 8:00 a.m. E.S.T. on Tuesday, November 27th and will continue until the match amount has been depleted; your $25 donation can become $50! NEW this year, you can create your personal fundraising event for SBCC where all monies donated on Tuesday, November 27th will be matched by Facebook and PayPal up to the first $7 million.